Wife of Jewish Agency chief and former international advocate for Soviet refuseniks tells of modern-day Jewish heroism. Some 200 people crowded into the events tent at the Oz VeGaon Forest Preserve on Friday to hear Avital Sharansky retell her story. Though she spoke of events that occurred 30 years ago, no eye was left dry. She spoke at the site established by Women in Green six months ago when it was learned that the three abducted youths had been murdered. 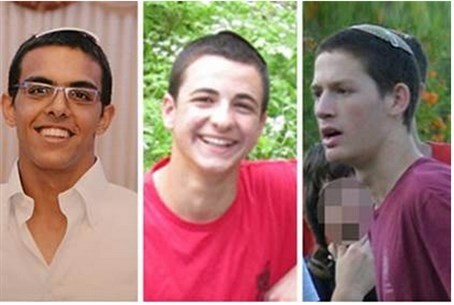 The three were abducted by Palestinian terrorists in Gush Etzion, and after weeks of intense searching coupled with nationwide prayers and unity, their bodies were found semi-buried in a field near Hebron. The first initials of the youths – Gilad, Eyal and Naftali – are eternalized in the name Oz v'Gaon, which means Strength and Pride. With a sense of national Zionist mission, and with the encouragement of the Gush Etzion Regional Council, Women in Green organized dozens of volunteers, who turned the forest land into a Jewish recreational and tourist site. Visitors can enjoy a social coffee shop, wooden tables and benches, a children's playground – and weekly lectures on various topics of Jewish interest by prominent personalities that attract dozens of people at a shot. Oz VeGaon's latest speaker, Avital Sharansky, told of how she traveled around the world and met with international leaders to have her husband Natan – now head of the Jewish Agency – freed from Soviet prison for his desire to move the Land of Israel. "I had received a blessing from Rabbi Tzvi Yehuda Kook that I would succeed in my efforts; he emphasized to me that I must remember that I was playing a major role in Jewish history in my efforts to free a Jewish national hero who represented the millions of Russian Jews prevented from actualizing their Judaism. "The next morning, I arrived in London – and who was there at the airport to greet me but the man I had called the night before! He apologized to me, and said that I was right, and that he was there to take me right there to visit Prime Minister Thatcher." Natan Sharansky was freed from Soviet prison in February 1986 and joined his wife Avital in Israel; the event was the main topic of Israeli headlines for days. The couple has two daughters. Natan rose in the ranks of Israeli society to become head of the Yisrael B'Aliyah party, Minister of Jerusalem Affairs and of the Interior, and then Executive of the Jewish Agency.